Samsung released yet another teaser trailer for the Samsung Galaxy Note 4, or rather for one of its most important features: the S Pen. While the previous video focused more on the overall pleasure of handwriting and how the S Pen can help us with this endeavor in the modern age, this new trailer is all about the pen’s features and the TouchWiz interface. The Korean giant still hasn’t revealed anything about the phablet’s specs, but maybe a new video detailing them will follow soon. 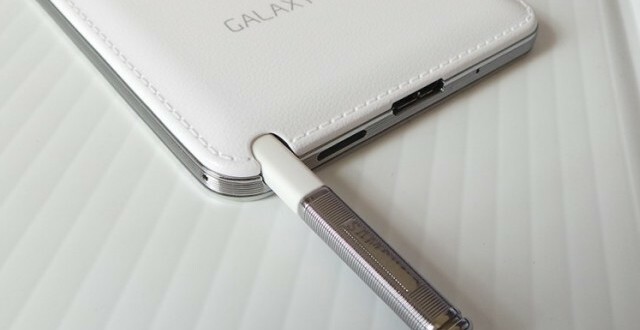 However, even if it doesn’t, we’ll still be able to learn a lot more about the Samsung Galaxy Note 4 in less than two weeks as the device will be officially unveiled on September 3rd during a media event. Most of what we know about the Note 4 comes from various leaks and rumors, which may or may not be accurate. But for the sake of helping you get a better idea about the device we’re going to summarize some of the most believable rumors. The Samsung Galaxy Note 4 is said to come equipped with a 5.7-inch display, just like its predecessor. Unlike the Galaxy Note 3 however, the upcoming phablet will feature a QHD resolution of 1440 x 2560 pixels and a grand total of 515 pixel density. Under the hood we should find either a Qualcomm Snapdragon 805 or Exynos 5433 processor depending on the variant. Some other specs might include 4GB of RAM, 16MP primary camera with optical image stabilization and 16/32/64 GB storage options with microSD card support that allows for up to 128 GB additional internal storage memory. Aside from the Samsung Galaxy Note 4, several other devices will also be announced and/or launched early next month during the IFA Trade Show in Berlin. These include Motorola’s Moto 360 smartwatch and Moto X+1 smartphone, LG’s G Watch R smartwatch, Microsoft Mobile’s Lumia 830 smartphone, Huawei’s Ascent Mate 7 flagship, and more. Apple will also unveil the iPhone 6 next month, but the announcement is only expected to be made on September 9th.